Recover data off flash usb memory drive that was mistakenly formatted, has not formatted error or its file system property became raw. Free download 4Card Recovery to recover the inside data at first when you see your usb flash has not formatted error or raw file system inside and you wont be able to access the inside data without anytool..
Say, you insert your USB flash drive into the USB port of your PC and want to transfer the pictures taken on your trip to your computer, but you press the wrong button on your computer and format the USB flash drive. Regretful! Upset! Desperate! I can understand your feeling. However, if you want to get back the lost files due to formatting, it is important to look for a recovery utility. Formatting a USB flash drive does not erase the data on the drive completely, but only the entries to the data are deleted, so you cannot view and access the files anymore after formatting. At this moment, you need to use professional recovery tool like 4Card Recovery to unformat the USB flash drive so as to get back lost files. 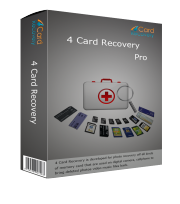 4Card Recovery is designed for external device data recovery such as memory card recovery and flash drive recovery. 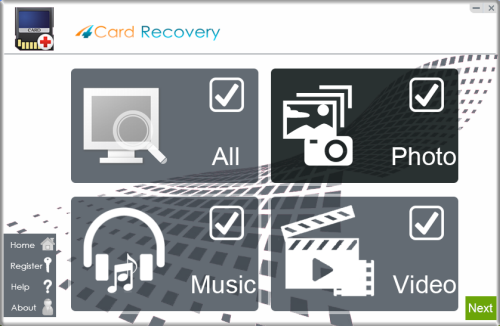 Apart from lost picture, 4Card Recovery is able to restore other types of files including videos and music, etc. Step 1:Insert the USB flash drive to your computer. Download, install and launch 4Card Recovery on the computer. There are 4 recovery option on the software that include " All "Photo", "Music" and "Video". Select a recovery option for data recovery. Step 2:Choose the USB flash drive and click "Next" button. The software is scanning your USB flash drive, please wait. When scanning is over, click the folder on the left side of the software to preview the found files. Preview lost photos and save found files. It would generate a folder to contain your lost data. Please do not save the photo to the card where you lost them. Save them to your PC drive! Unlike formatting USB flash drive due to mistake, another situation that you may format a USB flash drive is that you receive the "need to format USB flash drive" message. In this situation, you may know it clearly that data will lose after formatting the drive, but you still click yes option to format it since you know this is the only chance for you to access the drive. For some other users, they may choose not to format the drive when they receive this kind of message since they believe only in this way can data remain intact on the drive. As a matter of fact, as what I mentioned above, formatting won’t erase data on the drive completely. Therefore, when receiving " need to format USB flash drive" message, you can either select yes option to format the drive, or select no option to cancel formatting. However, what you must do is to use 4Card Recovery to retrieve the files on the flash drive. 4Card Recovery is powerful for all types of file recovery from formatted USB flash drive, but it is not omnipotent. In following situations, you may find it difficult or impossible to recover data no matter what kind of recovery software you use. 1. After formatting the USB drive, you keep writing a large amount of data to the drive. As you know, when formatting a USB drive, it can erase the entry to the data but remain the real data intact on the drive. If the new added data right occupies the space where stored the lost data, the lost data will be overwritten and become unrecoverable. On the contrary, if the space where stores the lost data is not occupied by new added files, the lost data can still be recovered with recovery software. 2. USB flash drive is physically damaged or destroyed. If a USB flash drive is physically damaged or destroyed due to unexpected reasons like water damage, fire damage, etc, recovery software might be helpless for recovering data stored on the drive. If flash chip of the USB is damaged, computer cannot recognize the drive and you may lose files on the USB forever. Therefore, you need to take good care of the USB flash drive to protect it from suffering any unexpected damage. 1. So stupid my finger is! I mistakenly press the "Format" option with one mouse click on my 32GB USB flash drive. I don’t have any chance to copy even one file from the USB before I realize the mistake. Now, the system is still formatting my flash drive. How can I get back all files stored on the drive? 2. I meet a strange thing when my PNY USB flash drive is connected to my Windows PC. I am transferring some pictures from the flash drive, but all of sudden Windows pops up a message to say disk drive needs to be formatted if I want to use it. I close the message box and try to transfer the pictures again, but I cannot open the drive anymore. Windows repeatedly shows the same error message. I think I can no longer access the drive unless I format it, but I cannot afford to lose any data from the USB after formatting. Is there a way that I can both recover data and fix the not formatted error? Privacy | Terms & Policy | Sitemap | Contact © 2019 4CardRecovery.com - All Rights Reserved.